Today we welcome Sylvia Patzold to A Bed of Roses…Thorns Included. Sylvia Patzold was born and raised in Ontario, Canada. She was a child of the 60s and a teenager of the 70s. 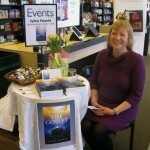 When she moved to North Carolina five years ago, she was inspired to write a Christian based adventure. Two years ago, she sent off the first chapter to a publishing company (Tate Publishing) and was shocked when she received an email of acceptance. At that time, she did not have the last chapter completed. 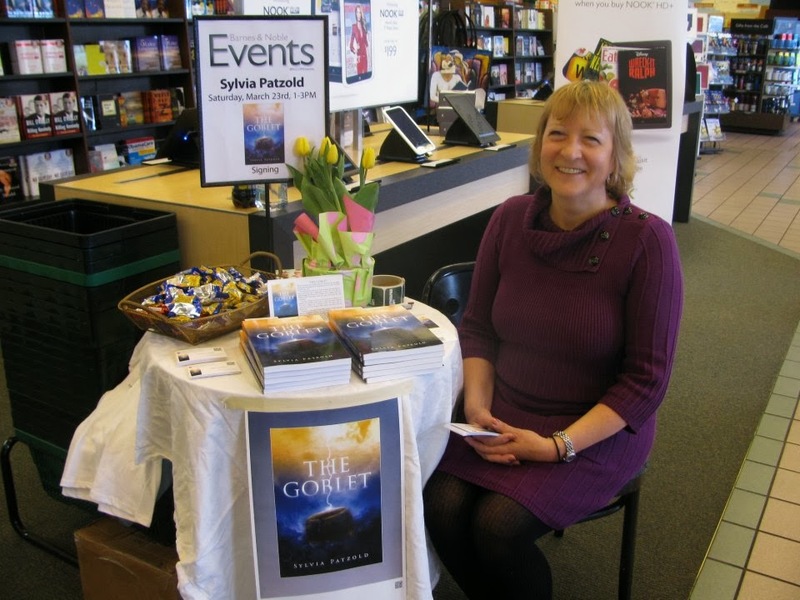 The Goblet was published by Tate Publishing on January 22, 2013. She has finished the second novel and is working on the third. Only time (and God) will tell how many more books will be in the series. Sylvia has three beautiful children. Two of them live in Canada and the youngest is in North Carolina with her. She own a wonderful Quarterhorse mare. She also has 2 spoiled dogs and 4 cats. We live together very well. 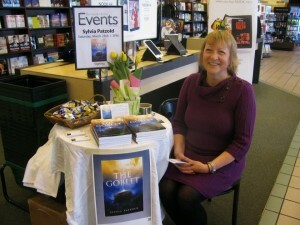 She would love to attend more writer’s workshops and meet other authors/writers and readers (hopefully of The Goblet). Here’s an excerpt from The Goblet. Sarah tried to stay awake during the drive to Jerusalem and watch the scenery around them as they were driving. She couldn’t get over the arid countryside with the spots of lush greenery. She was taken aback by the beauty of the country. 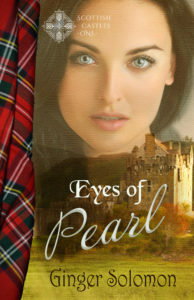 But the harder she tried to keep her eyes open, the heavier her eyelids became until she could feel her eyes rolling, and she eventually just let her head drop back into the headrest. She could feel the hum of the tires against the pavement and hear the children talking quietly. Rachel had a map with a brochure outlining the various points of interest, which she was reading out to the others. The children saw their mother’s struggle to stay awake and spoke quietly to let her fall into a quiet sleep. Sarah was half aware of the conversation going on around her and could hear Bill playing with the radio, trying to get an English-speaking station. The stations were being switched rapidly, and she could hear the frustration in Bill’s voice. “You can’t take it,” a small voice whispered. Sarah rolled her head, lifted an eye open, and then closed it again. “You can’t have it,” the small voice whispered again, however, this time raising in volume. Sarah shook her head and kept her eyes shut. The hiss of the tires against the pavement increased in sound. “We want it back.” A deep voice joined the small voice, whispering against Sarah’s ear. Sarah tried to pull her eyes open but found it very difficult. “We want it back now.” The deep voice started to sound angry as it growled into her ear. Sarah felt air stir against her cheek, and then there was a foul smell that floated across her face. Rachel was reading out of one of the brochures. Stefanie and Alex were looking out the window of the van and were pointing out some of the scenery to their father. “What do you want?” Sarah looked at her husband. “I want to be able to find a station that has English-speaking people,” Bill said in irritation. Sarah looked around herself and took a sniff. The smell was gone. She frowned as she tried to puzzle through what she had smelled and what she had heard. She shook her head again. She was just imagining things. Then she leaned back into the van seat and looked out the window. Thank you, Sylvia, for giving us a glimpse of your story. Comment for a chance to win free books in my New Year Giveaway. Learn more here. I wish to thank Ginger for this opportunity. Happy New Year to everyone. I wish you good health, safe journeys and keep with the power in believing! I was captivated by this excerpt and immediately downloaded it to my Kindle. Thanks for introducing me to Sylvia, Ginger.